The course is designed to enable participants to engage with people who speak isiXhosa and to learn how to approach them so that they can communicate successfully. It will allow participants to develop basic isiXhosa vocabulary and grammatical structures and to construct basic conversation such as greetings, introducing yourself, asking for and giving information, making requests and describing your work or study situations. Specific areas of focus will be listening, speaking, reading and writing. Participants will have the opportunity to practice speaking isiXhosa daily in structured conversations with their peers. Participants will also be required to present information to the class using their acquired isiXhosa skills. The course entails a balance between communicative and intercultural competence. It will introduce participants to aspects such as intercultural knowledge and understanding of African philosophy and Ubuntu. Participants will be given a study manual. 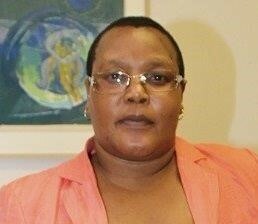 Nolubabalo Tyam is a lecturer and language practitioner at the Multilingual Education Project (MEP) at UCT. She obtained her BA, Higher Diploma in Education, Honours and Masters at University of Cape Town. Her areas of interest are second language teaching and learning, second language acquisition and teaching isiXhosa communication skills. Her research interests lie in teaching language for specific purposes.